The SuperCleanox series was developed for tough industrial applications. These machines have a proven track record among major companies throughout Europe during multiple-shift operations. The range was designed for a 100% duty cycle, they reach peak currents of up to 400 Amps during cleaning and polishing – achieving the highest performance level in the market. 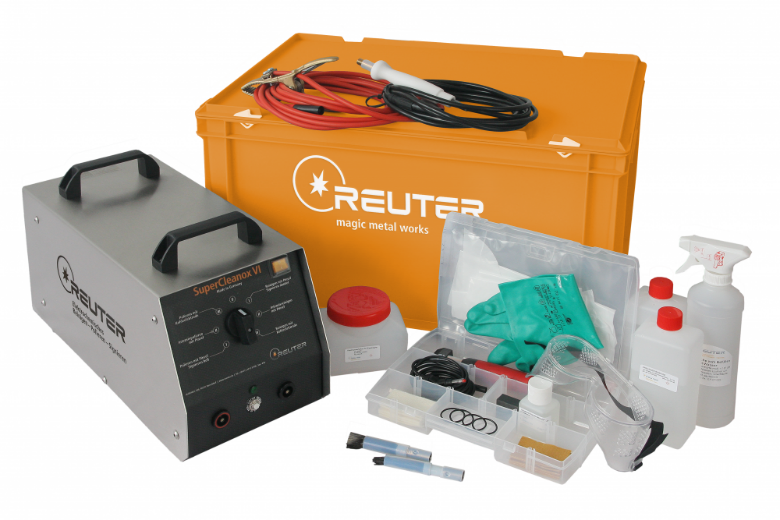 The SuperCleanox series is based on AC/DC devices that can provide alternating or direct current to clean, polish, light or dark mark.